A typical injection mold RFQ that we see includes CAD files, quantities to quote, EAU quantities, on occasion program life expectancy and resin specifications. The RFQ information is quite limited considering the capital expenditure that will be based on the quotations received, not just the initial capital requirement, but production ramifications as well. The determinations as to press size, mold quality, sample size, length of sample size, run time, mold qualification requirements even basics such as tolerance requirements are left to the quoting facility to determine in the initial RFQ/quote package. Having purchased tooling from Asian, European and other sources, I have found that quality injection mold tooling begins with the initial RFQ package. Requirements for mold tooling are set at this stage of the program. As initiator of the RFQ the individual should set the standards for the program and not leave the program requirements open to individual interpretation. Qualified injection mold tooling always could be signified from the very beginning of a potential cooperation. A professional buyer would read the submitted data by injection mold suppliers very carefully to try to figure out whether they could be a good supplier. While a qualified injection mold maker would also read all the information from buyers carefully to get what the buyers specifically meant. 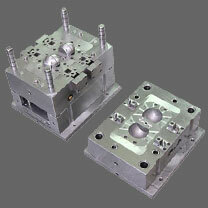 Quality mold suppliers work with the customer closely as partner relationship. Injection molds always have some changes or some issues that unexpected, quality mold supplier can work closed with the customer to get it sort out, then project will goes well with good quality, tooling technical and communication are most important when you are sending RFQ to the injection mold suppliers.